Todd Gentry has over twenty years of experience in the financial services industry. He was inspired to become a Special Care Planner when he was asked to be a guardian for a family member. He discovered planning for an individual with Special Needs is unique and much more comprehensive. He understands the right skills can make all the difference to a family. His experience, training and commitment to developing strategic alliances enhance our client service. Todd is committed to building long-term relationships with his clients and helping them reach their goals is his number one priority. Todd is also a sought-after speaker on numerous financial topics. He teaches over 200 financial seminars a year to corporate leadership groups and associates, special interest groups, and continuing education students at colleges. He takes great satisfaction in being able to convey complex financial concepts in a way that is understandable to all. Todd is a Certified Financial Planner™ Professional (CFP®) which was awarded for his education, examination, experience, and ethics requirements. 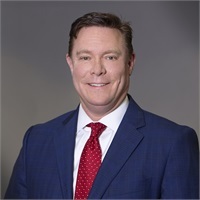 He also earned the Chartered Financial Consultant™ (ChFC®), which prepares him to meet the advanced financial planning needs of individuals, professionals and small business owners with in-depth coverage of the key financial planning disciplines. Todd also earned the Certified Advisor for Senior Living (CASL) designation. Also a passionate community volunteer, Todd serves on numerous civic and charitable boards and committees in the St. Louis area. He and his lovely wife, Tammy, have been married for 19 years and have two beautiful daughters, Reece and Ava.